National award-winning actress Vidya Balan escaped unhurt fortunately when her car got into an accident in Mumbai yesterday. Vidya Balan, the Palakkad-born actress, is one of the few actresses such as Kareena Kapur-Khan and Aishwarya Rai-Bachchan who continue to hog the limelight despite getting married. She won the national award for ‘best actress’ for her realistic portrayal of the life and times of the late ‘Silk’ Smitha, the ‘eternal item-girl’ of Tamil films, in the film The Dirty Picture which released in December, 2011. The actress, who delivered a hit film Begum Jaan early this year, is also functioning as a member of the Central Board of Film Certification. She was travelling towards Bandra in Mumbai when another car coming from the opposite direction hit the front side of car. Fortunately for Vidya and her fans, she didn’t suffer any grievous injuries and escaped unhurt in the accident. A source was quoted as telling the daily, "She is fine and has not sustained any injuries. It was a minor accident that led to car damage and thankfully no one is injured." 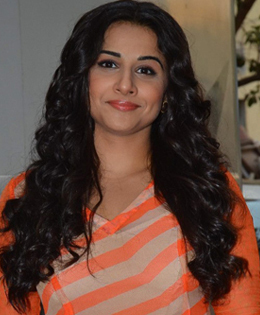 On the work front, Vidya will be next seen in Tumhari Sulu. After almost a decade, Vidya will be back as a radio jockey on the big screen. Vidya’s fans, well-wishers and relatives expressed happiness that she didn’t suffer injuries in the accidents, which have become a bane of Indian roads.